Amaphiko, which means ‘wings’ in Zulu, has supported, developed and championed over 120 talented, emerging social entrepreneurs through its programmes. Grassroots social entrepreneurs seeking to make a positive impact in their community will be able to apply to be part of a global community. Amaphiko will select 20 innovators to join the intensive 8-day programme in Bradford, one of the youngest and most diverse cities in the UK, from 28th September – 6th October 2019. The successful applicants will be brought together to connect and collaborate with some of the world’s leading innovators, entrepreneurs and storytellers including figures June Sarpong (MBE, broadcaster and presenter), Natalie Stewart (The Floacist and founder of FLO Vortex), Shazia Hossen (founder of Strong Habibita Athletics and female empowerment advocate), Charlie Dark (founder of Run Dem Crew, DJ and community mentor) and Sade Brown (founder of social enterprise Sour Lemons) who have used their position to make an impact on causes they’re passionate about. According to figures from Social Enterprise UK, there are over 100,000 social enterprises throughout the UK contributing £60 billion to the economy and employing two million people. However, Red Bull recognises that social entrepreneurs can still benefit from platforms for support and opportunities to grow. The State of Social Enterprise survey 2017 revealed that a quarter (25%) of social enterprises are under 3 years old compared to only 8% of SMEs, indicating the high proportion of startups in the social enterprise space, and a need for social innovation programmes that can help ensure grassroots organisations are continuing to make a positive impact. Following the 8-day programme, each applicant will be partnered with a mentor to develop a business and personal strategic development plan, while receiving support for the next 18 months to level up their social project. 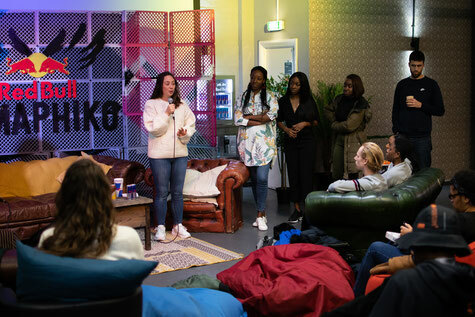 Kameron Rashid, Founder of The Socially Conscious Company & Amaphiko facilitator said: “I’m excited to be joining the first ever Red Bull Amaphiko Academy here in the UK, which will take place in Bradford, a young and diverse city with an exciting social enterprise scene and a strong community focus.